Zenhiser’s Vital series is a collection of invaluable sample packs designed to cover one specific sound type for one genre only, it’s been our mantra at Zenhiser to deliver dedicated sample packs since 2005 so it’s been an absolute pleasure to get back in the studio and go back to basics. The first pack in the series has been crafted for Techno and dedicates itself exclusively to percussion sounds, 380 percussive sounds and loops in total. These hard to find percussion sounds include both one shots and percussive loops to suit both the dedicated programmer and producer looking for instant impact within their Techno tracks. 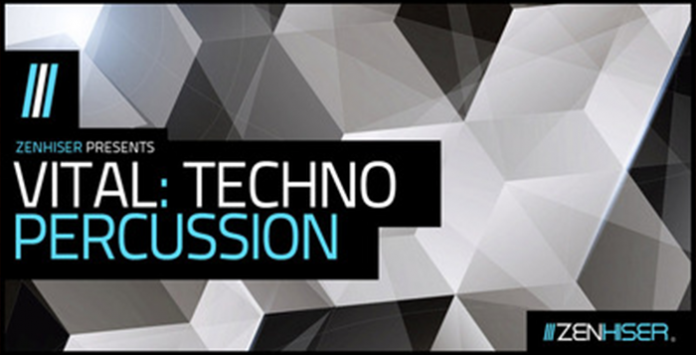 This truly authentic Techno collection has been professionally designed, crafted and mastered to ensure every single percussive hit and loop works as soon as it’s dropped into your track. Inspired by both the current and future sound of Techno these percussion sounds range from woody analogue hits to digital snaps. There is a multitude of frequencies covered in Vital: Techno Percussion ensuring we’ve covered you from subby low end punches to hi end shaker style hits.